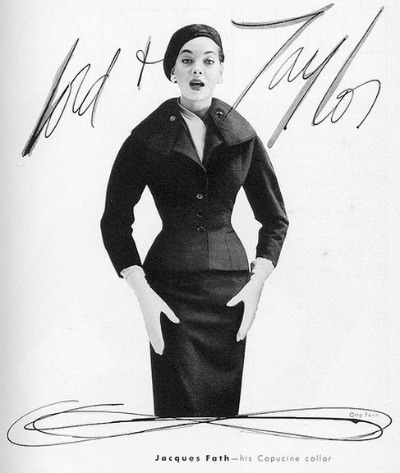 Jacques Fath was a key figure in the post-war revival of Paris haute couture. The House of Fath, along with The House of Dior and The Balmain Fashion House, are known in the fashion industry as the "Big Three." 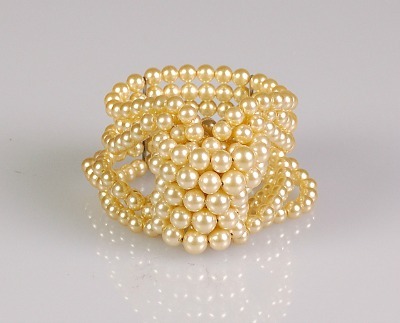 Jacques Fath "Napoleonic Knot Bracelet"
Jacques Fath was born on September 6, 1912 in Maisons-Laffitte, France. His great-grandmother was an artist who also did work in fashion illustration. An unproven rumor is that she was a couturière to the Empress Eugénie. Contrary to his parents wishes, Fath had no desire to enter the business world. After his required one year military service, Fath took evening classes in drawing and pattern cutting. At 21, he began educating himself in fashion design by visiting museum art and fashion exhibits, reading books, and analyzing the detailing of women's dresses. He took inspiration from the 18th century masterpieces. In 1937, at the age of 25, Jacques Fath opened his first fashion house and presented his first collection. Although his fashions were well received, Fath's first few years were a financial struggle. 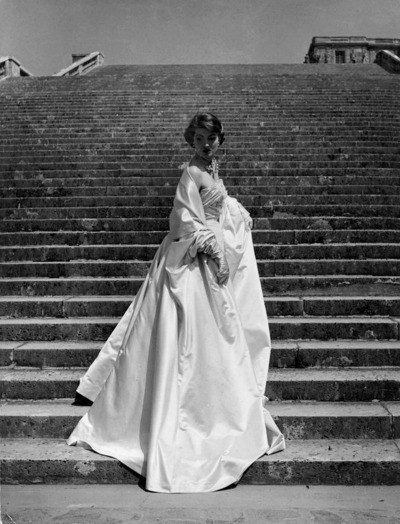 In 1939, Jacques Fath wed Geneviève Boucher, a young model he had met during his studies. 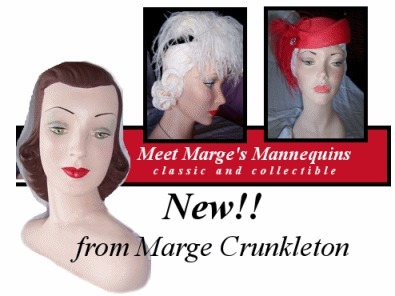 She was the perfect sponsor for his elegantly finished fashions. Recognizing the value of publicity, Fath and his bride (and his fashions) became one of the most photographed couples in Paris. The style magazines eagerly accompanied the handsome and congenial young couple to their trendy society functions. 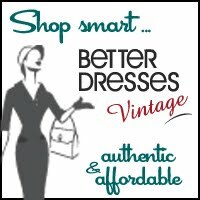 After the conclusion of the Second World War, French fashion again reigned supreme with wealthy Europeans as well as Americans flocking to Paris for the latest in chic and glamorous gowns. In an effort to woo the wealthy American buyers to The House of Fath, the Faths arranged a three month tour of The United States. 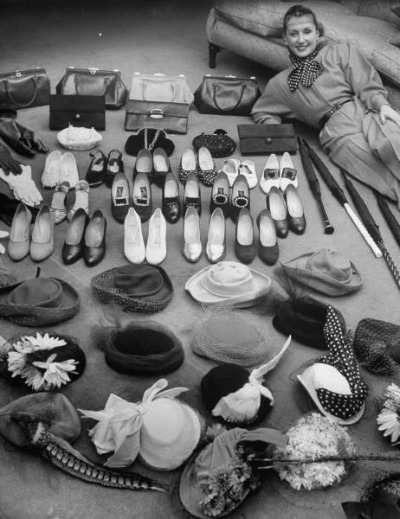 Genevieve's wardrobe included 35 outfits for day and evening, 17 hats, 16 pairs of shoes, and 10 handbags. 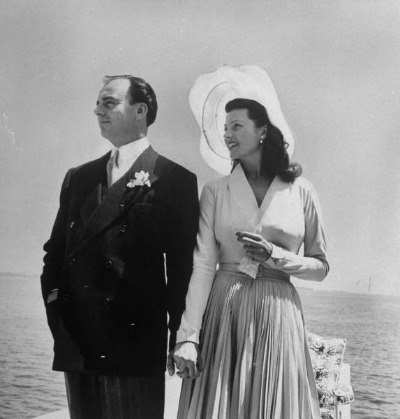 Fath developed a strong following in Hollywood after he designed Rita Hayworth's bridal trousseau for her 1949 wedding to Aly Khan. Although he had the opportunity to design for several Hollywood films, his costumes for Moira Shearer in The Red Shoes are considered classics. 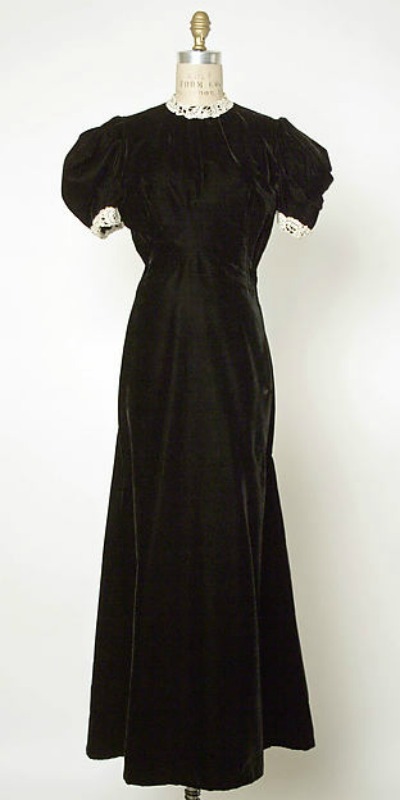 Shortly after his return from the United States, Fath contracted with the Seventh Avenue ready to wear manufacturer Joseph Halpert to design two collections a year. Much like his own personality, Fath's designs had a sophistication that attracted the young and modern shoppers. He enjoyed a lavish lifestyle that translated to a flamboyance in both his couture and ready to wear fashions. His first collection in 1950 was named "Lily" with skirts shaped like flowers. His designs often featured a plunging décolletage with voluminous skirts. He was fond of an asymmetrical line as well and was not afraid to use bold colors and prints. 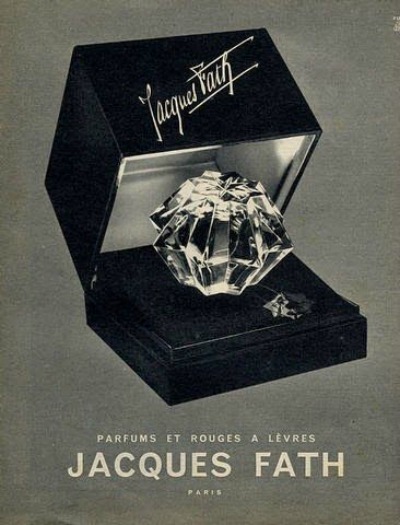 Taking advantage of the United States mass production practices, Fath developed Parfums Jacques Fath and his boutiques began to offer more affordable items like scarves, accessories, and stockings. 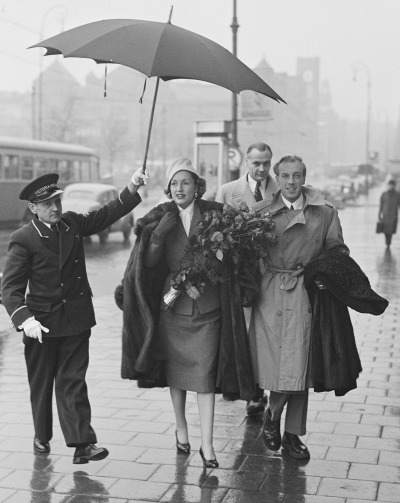 Jacques Fath employed a polite and respectful manner with his workers that assured their loyalty. He called his women seamstresses by their first name, never forgot their birthday, and offered wedding dresses to female workers getting married. They respectfully called him "Monsieur Jacques." 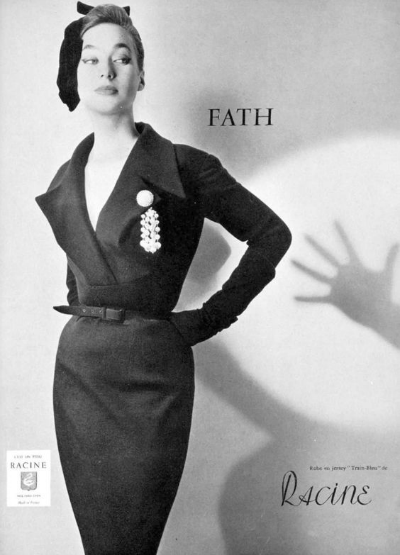 The 500 plus employees were grief-stricken when Jacques Fath died of leukemia on November 13, 1954. Over 3,000 people, mainly women, attended his funeral in Paris. 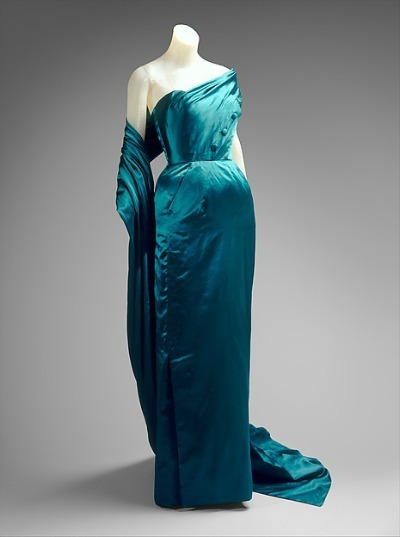 Anticipating his death, Fath had designed several seasons of couture to be carried on by his wife. The design house closed in 1957.